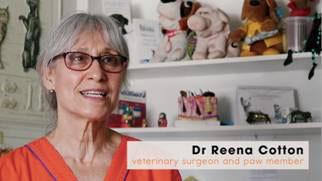 Dr Reena Cotton, a loved and well known veterinarian in the Sea Point community opened her practice, Vetpoint, nearly 15 years ago. 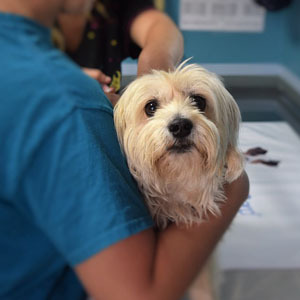 Being a private veterinary clinic treating small animals including dogs, cats, birds, rabbits and the like, she has always had a heart for welfare organizations and tried to assist wherever possible. “Since before I opened Vetpoint and was working as a veterinarian at another practice, I have been supporting the Mdzananda Animal Clinic in Khayelitsha in a non financial capacity. I support Mdzananda because it does a wonderful job in a community which might not otherwise have access to pet care. They go out to the community educating people on looking after animals and they do a wonderful job sterilizing and treating animals,” says Dr Cotton. Dr Cotton supports various welfare organisations by participating in sterilisation drives, collecting donations and offering treatment to welfare organisations when they are in need. Mdzananda received news from their largest funder that, due to the economic state of Europe and budget cuts, this organisation would be withdrawing their funding. This financial year the donation from the international funder was reduced by 1.4 million rand. The donation will reduce further in 2018 and then full extraction can be expected in 2019 where a 2.2 million rand yearly donation will be withdrawn. Though the thought of closing their doors had crossed their minds, the team at Mdzananda is positive that the public will stand together to support them in this difficult time. Taking their funding loss as well as their increased funding need into consideration they need 3000 new Paw Members to sign up, each donating R100 per month. “To date, four weeks after our campaign launch, we have had 280 new Paw Member sign ups. Even though this number is fantastic, it is a long way from the 3000 we require,” says du Plessis. It was during this time that Dr Reena Cotton from Sea Point signed up as a Paw Member. A video was filmed showing Dr Cotton’s commitment to the cause and encouraging members of her community to sign up too. “We created a video to express my commitment visually as I want to encourage more people to sign up. We can all spare one meal out per month and instead donate R100 to Mdzananda,” says Dr Cotton. Dr Cotton’s video can be seen on the Mdzananda Animal Clinic’s youtube channel (https://youtu.be/_z7hYeIAkKo) . If you would like to become one of the 3000 Paw Members you can sign up at www.mdzanandasecure.co.za or contact info@mdzananda.co.za.